PROPHECIES AND PREDICTIONS FOR 2019 - 2020 - 2021 - 2022. THE END TIMES EVENTS AND DISASTERS COULD OCCUR IN 2019 - 2020 - 2021 - 2022: THE ANTICHRIST RUSSIAN PRESIDENT PUTIN ATTEMPTS TO TAKE OVER THE WORLD AND DESTROY NATO. RUSSIA OR NORTH KOREA STARTS A NUCLEAR WAR IN 2019-2022, ALIEN UFO INVASION IN 2021-2022, AND THE FOUR HORSEMEN OF THE APOCALYPSE RIDING. THE FOURTH HORSEMAN OF THE APOCALYPSE DEATH RIDING. AN EBOLA, BIRD FLU or SARS or ZIKA VIRUS EPIDEMIC IS POSSIBLE IN 2019 - 2020. H3N2 FLU PANDEMIC IN 2019-2020. WATCH OUT FOR GIANT VOLCANO ERUPTIONS AND EARTHQUAKES MAGNITUDE 8 AND 9 AROUND THE WORLD IN 2019 - 2022. ALIENS MAY BE SETTING OFF VOLCANOES TO SLOW GLOBAL WARMING TEMPERATURE RISE. THERE WAS AN ASTEROID NEAR-MISS and HIT IN RUSSIA ON FEBRUARY 15 2013. MORE ASTEROIDS MAY HIT SOON AS PROPHESIED IN REVELATION 8, RELATES TO THE RISE OF THE ANTICHRIST PUTIN IN RUSSIA. THE PROPHECIES OF NOSTRADAMUS PREDICTED THE RISE OF THREE ANTICHRISTS - THE FIRST TWO WERE NAPOLEON AND HITLER, THE THIRD IS PUTIN. THE 4 HORSEMEN RIDE IN 2019 TO 2022: THE ANTICHRIST PUTIN ATTEMPTS WORLD CONQUEST, ECONOMIC CHAOS, WAR, DISEASES. THE ANTICHRIST PUTIN INVADES OTHER COUNTRIES - UKRAINE AND OTHERS, AND RUSSIA OR NORTH KOREA STARTS A NUCLEAR WAR IN 2020 - 2022. INCREASED ISIS TERRORIST ATTACKS IN EUROPE? RUSSIA STARTS NUCLEAR WAR? 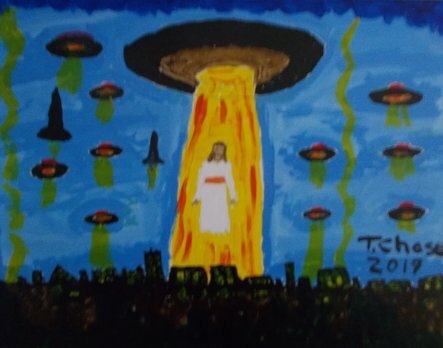 RETURN OF CHRIST WITH ALIENS ON UFOS, BATTLE OF ARMAGEDDON, DEFEAT OF THE ANTICHRIST IN 2020 - 2022. 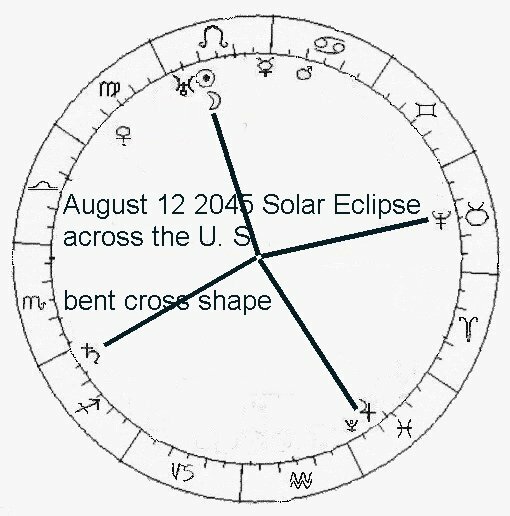 IN AUGUST 1999 WHEN PUTIN FIRST ROSE TO POWER IN RUSSIA, THERE WAS A RARE GRAND CROSS ASTROLOGY PATTERN OF PLANETS IN A CROSS SHAPE, AND A TOTAL SOLAR ECLIPSE OVER EUROPE, INDICATING THAT PUTIN IS THE EVIL ANTICHRIST OF REVELATION 13 WHOSE NUMBER IS 666. A new video on Nostradamus prophecies and predictions for 2019 - 2020. September 2017. The Cassini Saturn space probe crashed into Saturn/Satan. Cassini's connection to Putin: Putin first rose to power on August 9 1999. Also then, the day of the Astrology Grand Cross in the sky: August 18 1999, was the day after Cassini, carrying Plutonium, passed close to earth. Also a solar eclipse over Europe then. And 1999 has 666 upside-down, 666 being the number of the Antichrist in Revelation 13. This August 1999 Grand Cross, which is one of the most amazing astrological alignments ever seen in history, consisted of: the Sun, Venus, and Mercury in the sign of Leo, Mars and the Moon in Scorpio with Pluto close by in Sagittarius, Saturn and Jupiter in Taurus, and Neptune and Uranus in Aquarius. If Scorpio is considered to be the Eagle, and Aquarius the man, then we have the four beasts seen in Revelation 4 that sit at the throne in heaven, that have the faces of an eagle, a man, a lion, and a calf. This seems to indicate an important time for mankind; I think it may also relate to the rise to power of the Antichrist in year 2000 as Russian President Putin, especially since there was a cross pattern. Note that Putin first rose to power in Russia in August 1999, becoming 2nd in command in Russia then, thus the significance of this Grand Cross Astrology pattern in August 1999. Also, note that August 13, 1999 was Friday the 13th, said to be an unlucky day. Also note that August 9, 1999, was the 30th anniversary of the Charles Manson group's murder of Sharon Tate and others in Los Angeles, significant because of the Charles Manson group's Satanic-like cult. Considering again Cassini going to Saturn: as for the planet Saturn, possibly Saturn represents "Satan"-- the Antichrist is said to be a Satanic imitation of Christ, actually the son of Satan. So the journey to Saturn actually may be the journey of mankind to "Satan". 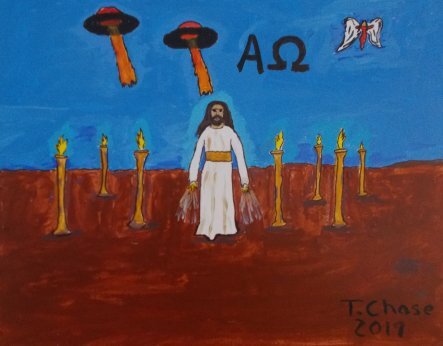 Also note that in Greek, where each letter is also a number, "Titan" totals 666, another indication of the Cassini landing on Titan being connected with the Antichrist. 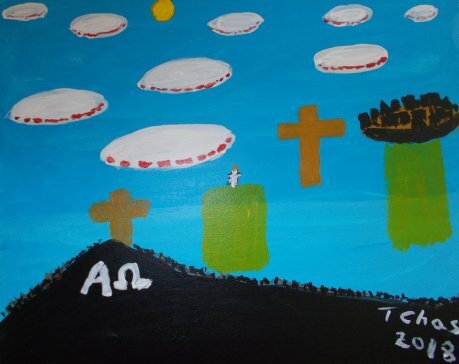 Note that Titan (representing the Antichrist?) revolves around Saturn/Satan. 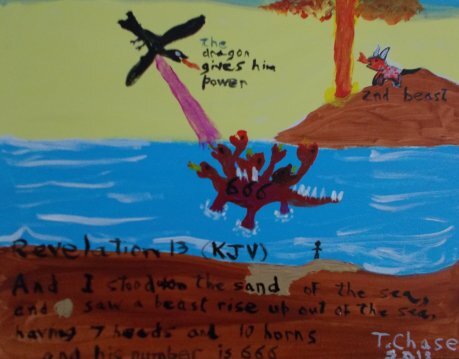 This site proposes that events described in the Bible's Book of Revelation are coming true now, as described on the first page. This site has my vision, my visions and prophecies. Astrology and New Age ideas are also discussed on this site. Chaos in the world today I think is caused by the Four Horsemen of the Apocalypse riding, in particular the Third Horseman Economic Chaos. The Fourth Horseman Death could ride with Ebola, H1N1 or Bird Flu, SARS, Zika virus, and antibiotic resistant bacteria. There is also concern over the Second Horseman War riding in 2019-2022 (Russia - Ukraine invasion, Russia invades other countries, Middle East, ISIS terrorists, Iraq, Syria, China. Conspiracy theory and theories, on world events. 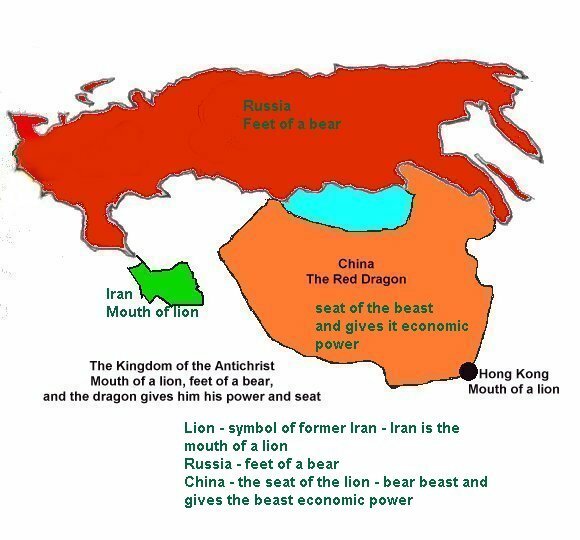 A second meaning of the lion is Iran, where before the Islamic Revolution Iran had a Lion on its flag, indicating a Russia-China-Iran military alliance, with Russia helping Iran build the A-Bomb by helping it with its nuclear program, and Russia has been selling military equipment such as missles to Iran. Osama bin Laden is "The Destroyer", an evil demon from Hell in Revelation 9:11. There are actually two evil beasts forming: the red beast of the Antichrist and the terrorist dragon of Al Qaida and ISIS. See King James version Bible Code Part 1j: The New Russians Submarines and Missiles to threaten NATO and the U.S. 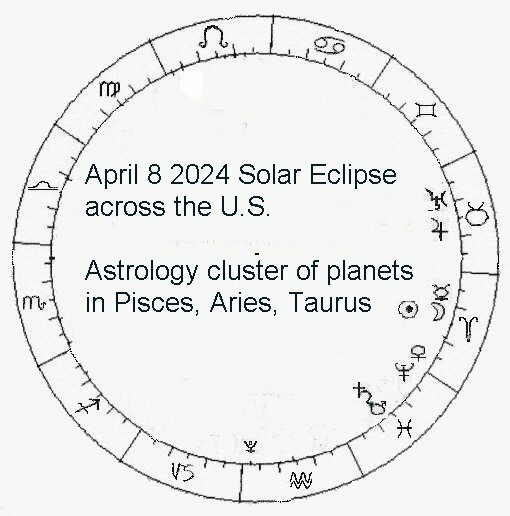 This page has a calendar of predicted world events, and astrology and astronomy alignments, with predictions based on astrology, New Age ideas, Bible prophecy including the Book of Revelation, the King James version Bible Code, and numerical analysis. Also, see the pages on the King James bible code which discuss King James Bible code patterns in matrices I generated on my computer, using Bible Code software. An asteroid hits in the ocean, causing a giant tidal wave, and splitting into 7 pieces, so 7 impacts; and also a disease plague. The giant star Eta Carinae could turn into a giant supernova. See the section on this page on J.R. Church's excellent book "Hidden Prophecies in the Psalms" (published by Prophecy Publications, 1990), J.R. Church discovered a pattern where events in years in the 20th century correspond to Psalms of that year number (Psalm 48 corresponds to year 1948, for example, and the birth of the state of Israel then; Psalm 67 would correspond to 1967 and Israel conquering Jerusalem then), from the point of view of Israel and the Middle East. This pattern may continue with Psalm 101, since September 11 occurred in 2001, and Psalm 101:8 "...cut off all wicked doers from the city of the Lord". Could that be about New York City, which is a very religious city, having two great cathedrals. And the Psalms pattern may agree with the predictions for future years on this page, for years 2019 - 2028, corresponding to Psalms 119 - 128. And even up to 2050, corresponding to Psalm 150. -- Psalm 113: Could it be about 2013, "The Lord is high above all nations, and his glory above the heavens." "...to behold the things that are in heaven, and in the earth". Note that there was a bright comet in March 2013 and also November 2013. -- Psalm 117: it is a short 2 line psalm. This may indicate that 2017 was an important transition year. -- Psalm 118: "Blessed be he that cometh in the name of the Lord". -- Psalm 119: A long psalm related to the letters of the Hebrew Alphabet. Could this relate to the Battle of Armageddon with the return of Christ to defeat the Antichrist. 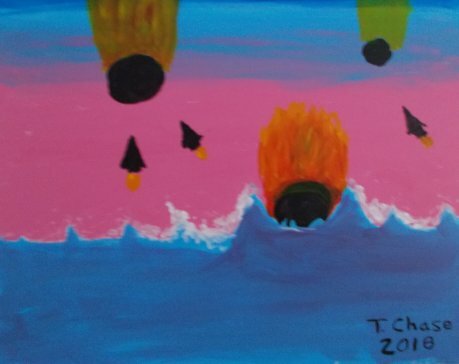 On a UFO? In 2021? -- Psalm 120:4 "sharp arrows", 120:7 "they are for war". Could this be the Battle of Armageddon in 2020? 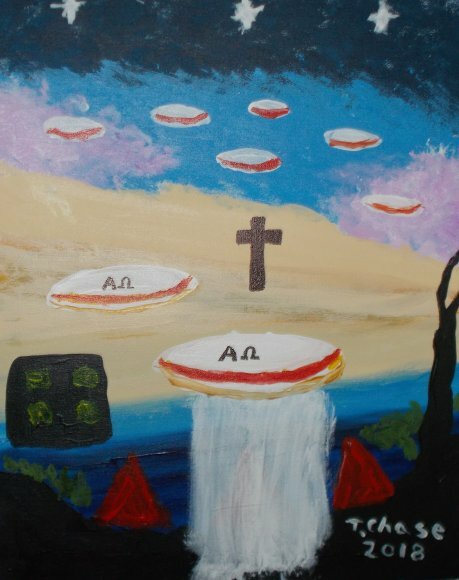 Possibly Christ comes on a UFO with a UFO alien army to defeat the Antichrist, in 2021, refer to Revelation 19:11-21. -- Psalm 121:1 ..."which made heaven and earth." 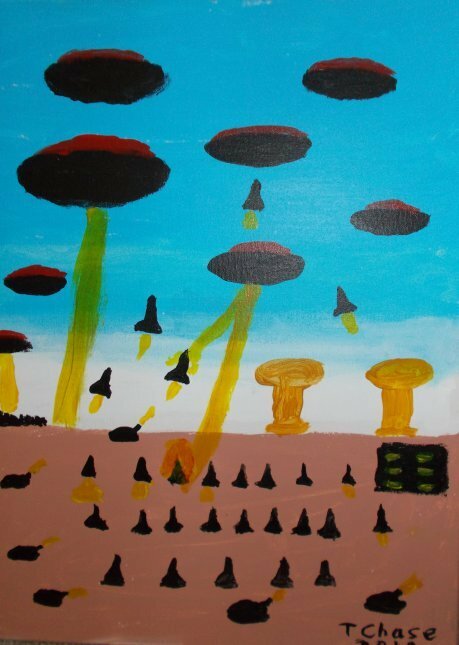 Alien invasion of earth? THIS MAY INDICATE THAT 2021 IS THE YEAR OF ALIEN INVASION! -- Psalm 122:3 "Jerusalem is builded as a city". Could this be in 2022 Revelation 21:2, 10-26, where a New Jerusalem comes down to earth from outer space. 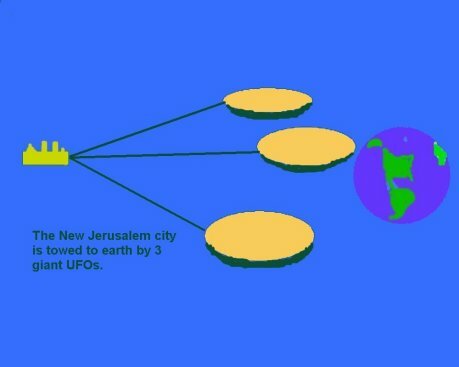 Apparently an alien UFO invasion installs this giant city on earth as a new world headquarters, with the returned Christ as lead alien. -- Psalm 123:1 "Unto thee lift I up mine eyes, O thou that dwellest in the heavens." 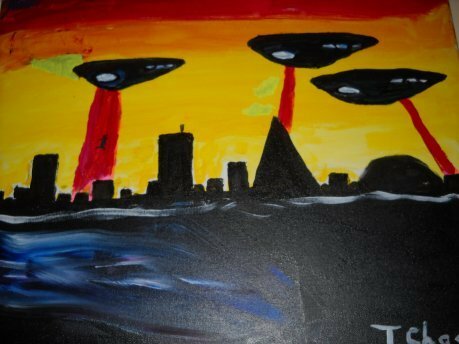 Alien invasion? -- Psalm 127:1 "build the house" - building of the New Jerusalem in 2027? 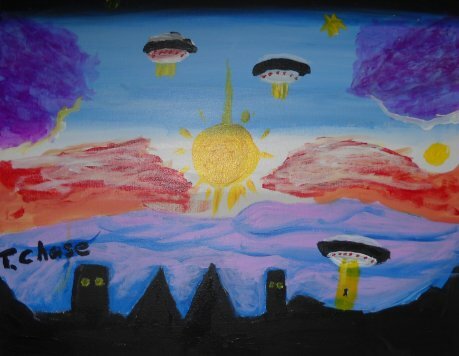 A new reorganized world, after alien invasion? -- Psalm 128:5: mentions Jerusalem. The building of the New Jerusalem continues in 2028? -- Psalm 150: Refer to Psalm 150: "in the firmament of his power". About alien takeover of earth, completed in 2050? So the Psalms may have prophecies describing world events over 150 years from 1900-2050. January 6 2019. Partial solar eclipse, over Eastern Asia. January 21 2019. Total Lunar Eclipse seen in North America and South America. January 22 2019. Conjunction of Venus and Jupiter within 2 degrees seen in the morning sky. Relate to the Antichrist or the Christ. February 18 2019. An asteroid passes in front of the brightest star Sirius for just seconds, this has a dark energy connection. Sirius being the Dog Star, perhaps a Hell-Hound. February 19 2019. Full Moon, Supermoon, moon at its closest distance to earth so looks larger. March 21 2019. Full Moon, Super Moon, moon closest to earth so looks larger. And the 144,000 chosen ones will gather with the Christ, as described in Revelation 7 and 14, and these 144,000 will assist the Christ in taking over earth in an alien invasion of earth and the coming of the New Jerusalem city down to earth from outer space. 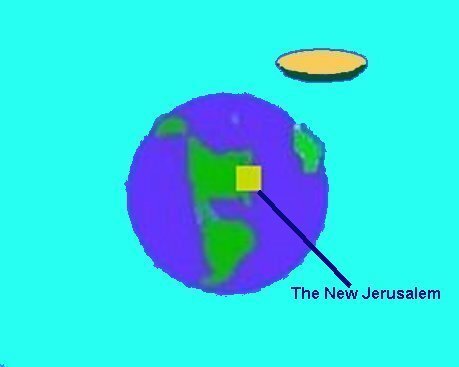 The New Jerusalem will become the world headquarters of the returned Christ and the alien invasion force once they take over earth. A reason for invasion may be that the aliens are concerned about global warming and the destruction of the environment of earth, refer to Revelation 11:18 "shouldest destroy them which destroy the earth". 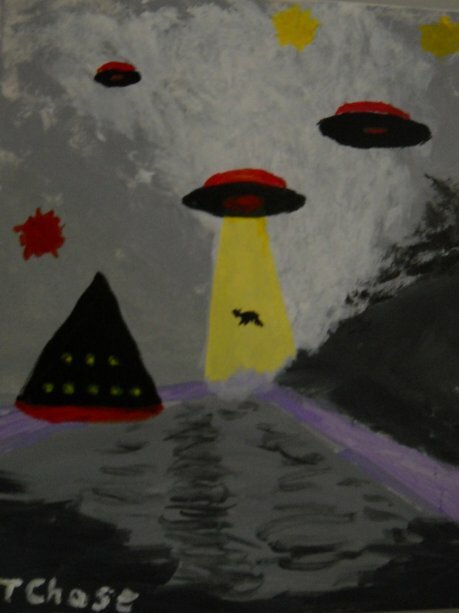 Could the invading UFOs and aliens be W56 aliens, see this page on W56 aliens. 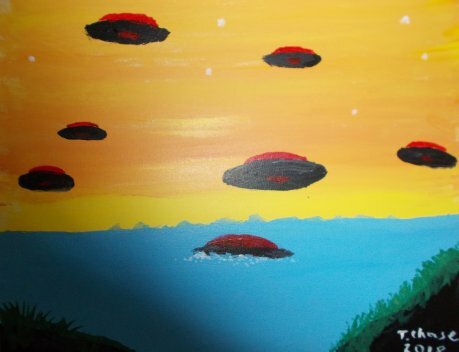 Also, possibly "The Rapture" where millions of people on earth disappear, could be related to aliens: millions of people abducted by aliens during alien invasion of earth. (Another painting by T. Chase. 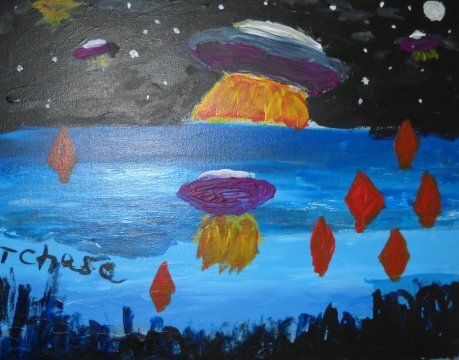 UFOs emerge from their underwater base, 1 is shown emerging from the water. And the New Jerusalem of Revelation 21 could be a giant alien city that comes down to earth after the alien invasion in 2021-2022. Revelation 21:10 "and showed me that great city, the holy Jerusalem, descending out of heaven from God." Revelation 21 and 22 seem to be describing the reorganizing of earth by aliens. 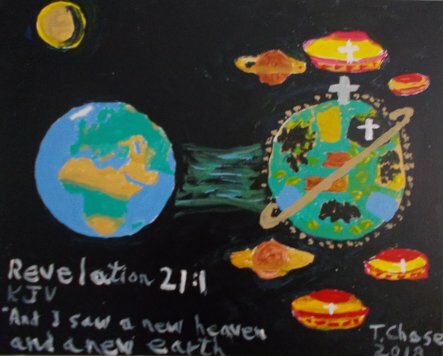 Revelation 21:1 "And I saw a new heaven and a new earth". Reorganizing of earth under Christ/alien government, maybe even earth passes into another dimension. So Christ would be lead alien. Revelation 7 and 14 discuss the 144000 chosen ones, who gather with the Christ, I think in New York City, in Revelation 14. These 144000 are sealed in their foreheads, I think that means they are alien abductees who have been given brain implants by the aliens in their foreheads, in preparation for the alien invasion. They assist the Christ lead alien in taking over the earth. "River of water of life" - this would be DNA. "tree of life" - that is the evolution of life. This mention of DNA in Revelation 22 may mean that aliens will modify human DNA. Maybe they modify DNA to make man more peaceful and bring a world government run by the aliens: 22:2: "and the leaves of the tree were for the healing of the nations". The Nostradamus page at the end of it discusses 3 Nostradamus prophecies on this alien takeover of earth. Also see the section on this page on the German prophet, who predicted in the future the rule of the "Great White King" who will bring peace on earth, which sounds like Christ/alien takeover of earth. A 2015 book to read on the idea that aliens are preparing to takeover earth now, by putting alien-human hybrids that are half-alien into the human population on earth. But they look like regular people. They could be your neighbors. And that alien invasion of earth may be soon. A serious and very scary book: "Walking Among Us: The Alien Plan to Control Humanity" by David Jacobs. What is super-creepy is these insect-like aliens are the head aliens, they look like a praying mantis. They are like the queen bees, that control the other aliens with their psychic powers. And there are these alien-human hybrids that are being created to infiltrate the human race and take over earth. Note Revelation 9:3 (King James version) "And there came out of the smoke locusts upon the earth...". Locusts - similar to the praying mantis - like lead aliens. Another very interesting book on aliens on earth, but it does not focus on the alien invasion idea. It says there are several different alien groups with bases on earth now: "Earth: An Alien Enterprise", by Timothy Good. June 10 2019. Jupiter at opposition, closest to earth. June 14 2019. 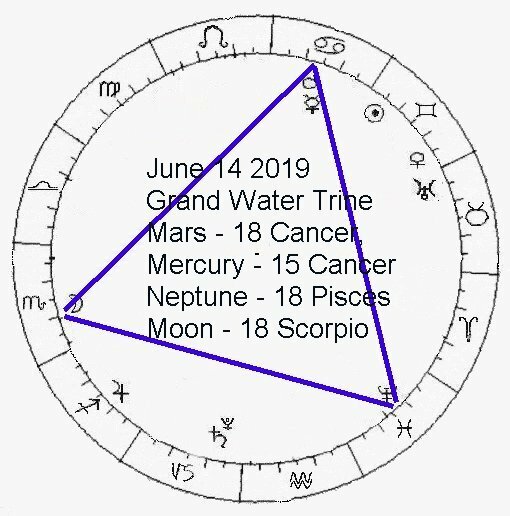 Unusual Astrology pattern - June 14 2019, Grand Water Trine. Mars - 18 Cancer, Neptune - 18 Pisces, Moon - 18 Scorpio. Mercury also at 15 Cancer. Note that 18=6+6+6. July 2 2019. Total solar eclipse seen in Chile, Argentina, and Southern Pacific Ocean. July 16 2019. Partial Lunar Eclipse. November 11 2019. Transit of Mercury across the sun, the next one is in 2039. Could relate to significant world events, related to the Antichrist Putin. November 24 2019. Conjunction of Venus and Jupiter in the sky, within less than 2 degrees. December 26 2019. Annular Solar Eclipse (a ring of light seen around the moon), at Christmas, seen in India, Indonesia, Also an astrology cluster of planets in Capricorn, Sagittarius, Aquarius. Relate to the Antichrist Putin. 2021. PSALM 121 MAY INDICATE THAT 2021 IS THE YEAR OF ALIEN INVASION! 2022. The year of alien invasion of earth by the Anunnaki aliens, according to the book: "Anunnaki: UFOs, Extraterrestials", by Maximillien de Lafayette, published 2008 by Amazon.com Company. See this page. Predicts that the Anunnaki take over earth then, and use antimatter to "clean" the earth and humans. And Christ returns also then. Nov. 4 2022. 100 years since King Tut's tomb was discovered in Egypt in November 4 1922 by English archaeologist Howard Carter, unleashing the Curse of King Tutankhamun as Hitler rising to power then, a curse on England and the world. Will King Tut's curse be unleashed again as the Antichrist Putin and nuclear war? February 3 2029. According to UFO contactee Billy Meier, the Age of Aquarius begins on Feb. 3 2029, ending on Feb. 3 3999. 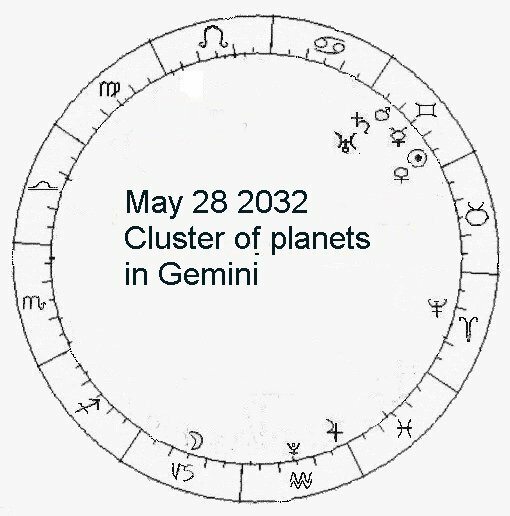 (Note that Billy Meier also said that the Age of Pisces ended on Feb. 3 1844, and then there was a transition period to the Age of Aquarius, with its second half of the transition period beginning on 2/3/1937.) Reference: "And still they fly! ", by Guido Moosbrugger, Published by Steelmark, 2004. March 11 2029. 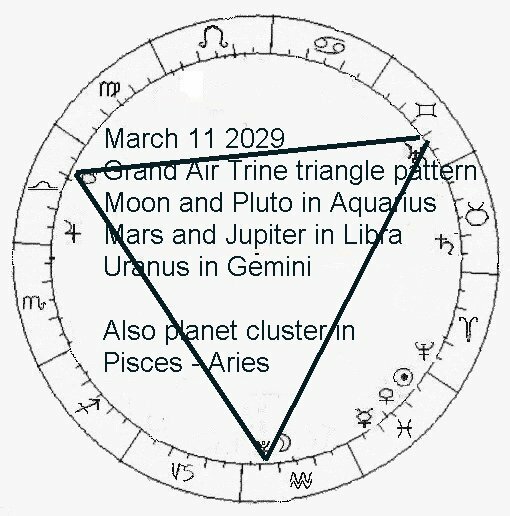 Powerful astrology pattern of a Grand Earth Trine, with planets in a triangle shape in Astrology Earth Signs, and a planet cluster in Pisces-Aries. May 28 2032. Cluster of planets in Gemini: Sun, Venus, Mercury, Mars, Saturn, Uranus. 2038. Refer to the page on 666 day intervals, a 17 666 day cycle of 31 years beginning in 2007 ends on August 1 2038. Is this 31 year phase about the rise of the antichrist and completes the alien invasion of earth? 17 cycles of 666 days = 31 years. Note that the first 31 year period began with the start of World War 1, August 1914, and ended when World War 2 was over, August 1945, and saw the rise and defeat of Fascism. The second 31 year period ended in 1976, with a series of disasters and the death of Chairman Mao, and Communism was declining then. The third 31 year period ended in 2007, with the Antichrist Putin rising to power. The next 31 year period ends in August 2038, possibly with alien invasion of earth, after the rise and fall of the Antichrist Putin. 2050. Refer to Psalm 150: "in the firmament of his power". About alien takeover of earth, completed in 2050? 3010. Satan released from prison, after 1000 years of imprisonment, and new wars of conquest and another Armageddon? Another possible pattern of Bible passages corresponding to future events, is that Revelation 20:1 to 20:14 may correspond to events in 2001 through 2014. The serpent being chained and cast into the bottomless pit in 20:3 may correspond to the capture of Saddam Hussein in 2003 in Iraq, Saddam being one of the most evil people on earth. "1 And I saw an angel come down from heaven, having the key of the bottomless pit and a great chain in his hand. 14 And death and hell were cast into the lake of fire. This is the second death." "Revelation13.net: Astrology, Prophecies of the Future, Bible Prophecy, King James version Bible Code"